Obituary for Cora Irene (Tillman) Guest | Mason-Gelder Funeral Home, Inc.
Cora Irene Guest 95 of Jeannette died Friday February 1, 2019 in Westmoreland Manor. She was born May 27, 1923 in Jeannette a daughter of the late Grant and Alice (Williams) Tillman. Prior to retirement she was employed by WCCC Lifelong Learning Center. 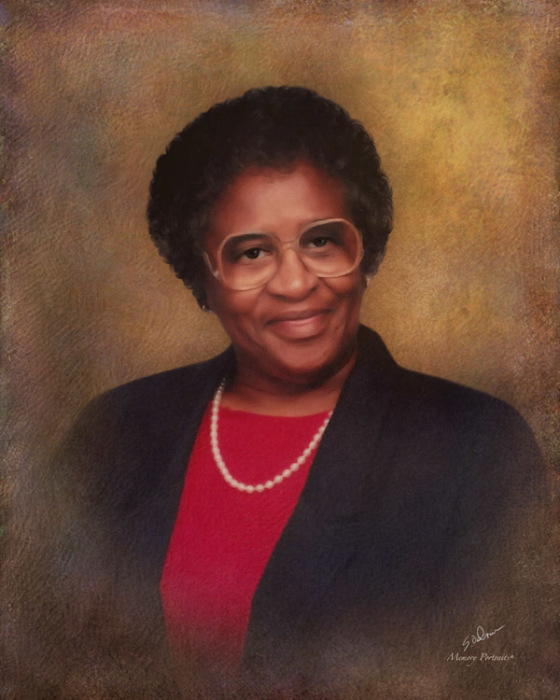 She was a member of Living Word Congregational Church, YWBA for many years, Mother of the Church for Renewed Life Christian Center and Zion Hill Baptist Church and the former First Lady of Union Baptist Church, New Salem. In addition to her parents she was preceded in death by her husband Rev. Lester Guest, sisters Venus, Henrietta, Susie, Willie Mae and Jeanette, brothers Ivan, Monroe and Joseph and a Godson Lance Tillman. She is survived by her daughter Donna Ellison of Jeannette, three grandchildren Donita Sawyer, Roy Ellison and his wife Deidria and Minister Alycia Goodson, eight great grandchildren Justin, Darris, Bria, Domanique, Autumn, Amiyah, Jaden and Krista, four great great grandchildren Dominick, Jetamie, Hero and Judah, a sister Alice Juanita Mixon of Cleveland, OH, a sister in law Theresa Tillman Cantine and numerous nieces, nephews, great nieces and great nephews. Friends will be received Tuesday from 4-8 PM in the Mason-Gelder Funeral Home Inc. 201 N. First St. Jeannette. Additional viewing will be held Wednesday from 10:00 AM till time of services at 11:00 AM in Rock of Refuge Church 102 Clay Ave. Jeannette with Pastor Roy Aiken officiating. Interment will follow in Westmoreland County Memorial Park. The family would like to thank the staff at B4 at Westmoreland Manor for the compasionate care given. To send online condolences visit www.mason-gelder.com.